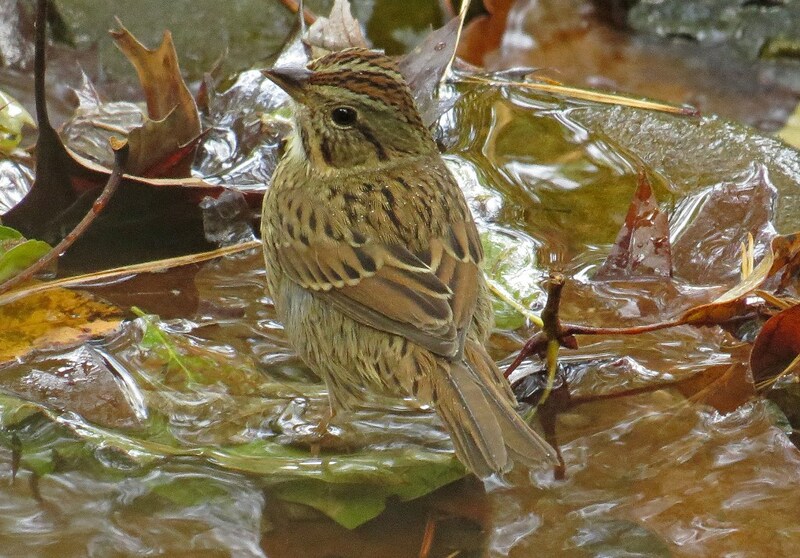 When I was taking pictures to post for “Splash Week”, this lovely sparrow showed up to enjoy a leisurely bath. It is not one of the sparrows that I commonly see in my backyard. 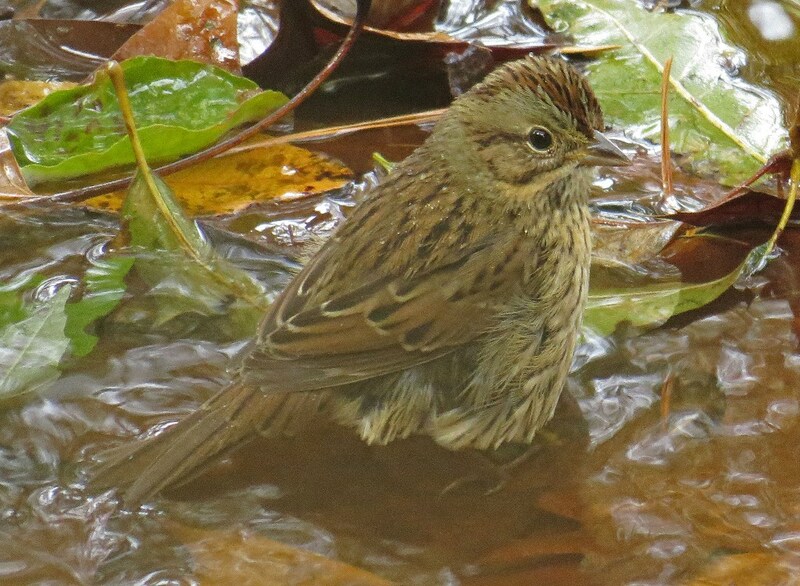 At first I thought it was a Song Sparrow, but it lacks the prominent chest spot. 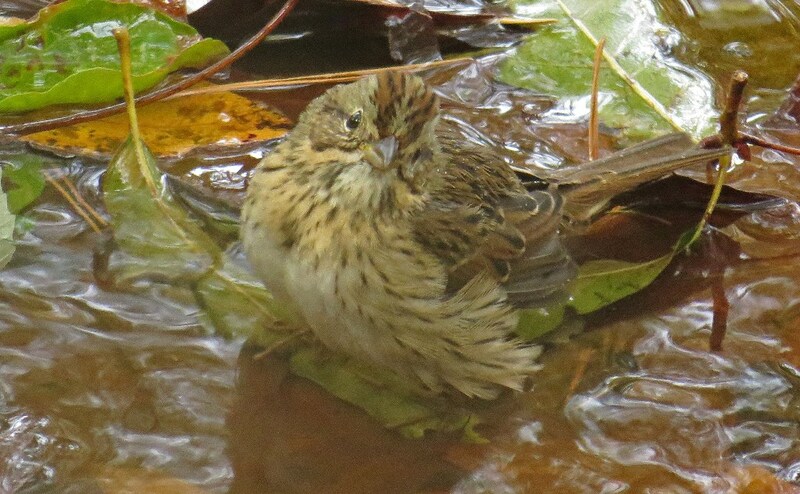 My best guess (after scouring the field guides) is that it is a Lincoln’s Sparrow that decided to take advantage of a safe place to bathe during migration. Here are a couple more photos…can anyone help with the id? I just love his markings. I wish I could convince him to stay! This entry was posted in Backyard Birds and tagged backyard birds, bird photography, nature, photography, wildlife, wildlife photography, writing. Bookmark the permalink. 11 Responses to A Little Help Here? Fantastic bird shot! Did you have to wait awhile to capture this photo? Thanks Matt. In the words of Ansel Adams, “Sometimes I arrive just when God’s ready to have somone click the shutter.” I feel that way a lot! Your bird photos are really good! Nice picture of a little sparrow of some sort. I looked in my bird book but wasn’t able to pin your bird down to my satisfaction. I’m not sure what kind of sparrow it is? Many times the bird in the picture doesn’t look like the bird in the book. Their appearance will change depending on the time of the year, the light, and sometimes the geographic area. 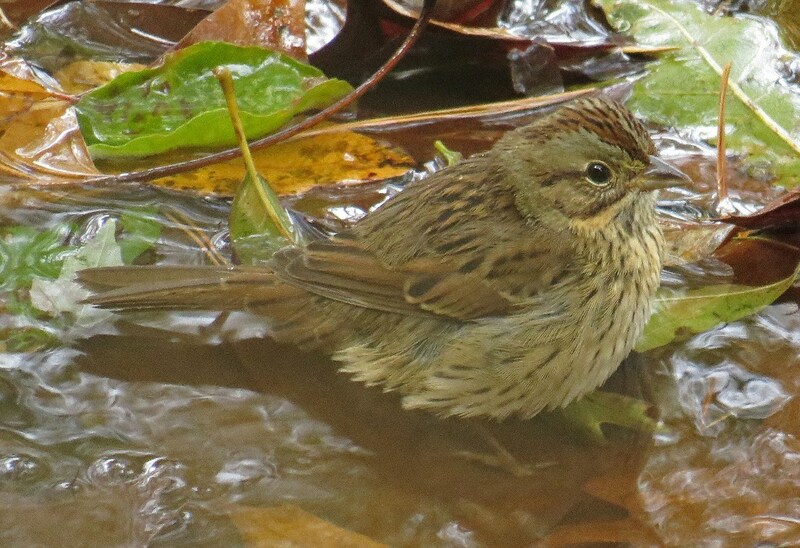 I thought your little bird could be a “Song Sparrow”, a Stripped Sparrow” , or maybe a Bachman’s Sparrow as someone suggested. But I really don’t know? If I come up with a better answer I will let you know. Great photos of a cute bird. 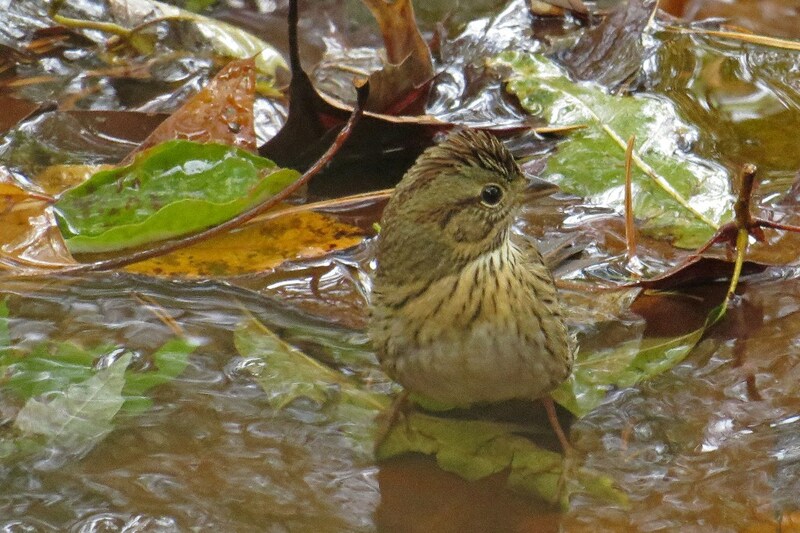 I believe your Sparrow is a LINCOLN’S SPARROW, Melospiza lincolnii. Hope this helps. I believe you are correct! I wish I could convince hime to stay all winter. I can see why you would like for him to stay, he is so cute! Don’t remember seeing one in my area? I may need your help with the different Warblers. A few of these females are getting me confused! Is it a Palm Warbler, a Yellow-rumped Warbler, or another kind of Warbler? Love the pics, this little fella has very good camouflage with its mottled coat, I imagine would be difficult to see in a tree, but you have a great shot here.